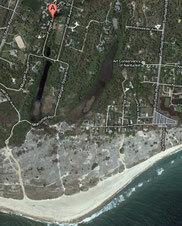 Walk across the dunes to Nantucket's best beach. 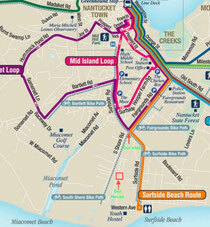 This is a map of the Nantucket Shuttle system called The Wave. We are minutes from the Fairgrounds/Surfside stop on the Surfside Loop. From here you can connect to transporation to go virtually anywhere on the island. And of course, we are also minutes from the bike path.